Now that her family will rule Alma, Bella Montoro is a candidate for a royal wedding. But the Miami-born free spirit won't be a pawn in her father's power plays. Though he matches her with an oil baron's son, the princess has a preference for his twin brother, James Rowling. Long the Rowling black sheep, James is notorious for his way with the ladies. Could it be that the soccer star has met his match in Bella? Or will his reputation - and a little surprise - stand in the way of a happy future together? After narrowly escaping a royal marriage of convenience orchestrated by his meddling father, businessman Will Rowling is going after what he wants. And make no mistake, he wants Cat Iberra - his father's maid, and the woman who got away when they were young. All it takes is a stolen kiss to get the seduction started. Cat's reluctant about the reunion. Fool her once, shame on Will, but fool her twice...well, maybe she's in the mood to be fooled. 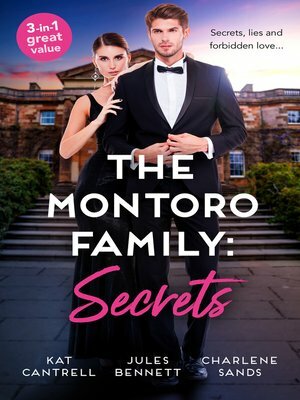 But will a family secret ruin her second chance with the man who won't let go of her heart? Juan Carlos Salazar II never thought he'd become King of Alma. But when an explosive family secret leaves him next in line for the throne, he's ready...until he catches a glimpse of Princess Portia Lindstrom at the coronation. Because it's love at first sight with this mysterious woman. But Portia's secrets test the power of his devotion and Juan Carlos is tempted to throw duty out the window. Soon he must choose between commitment to country and family...or his own heart.